Our NEW Blue Striped Shorts are a MUST HAVE! 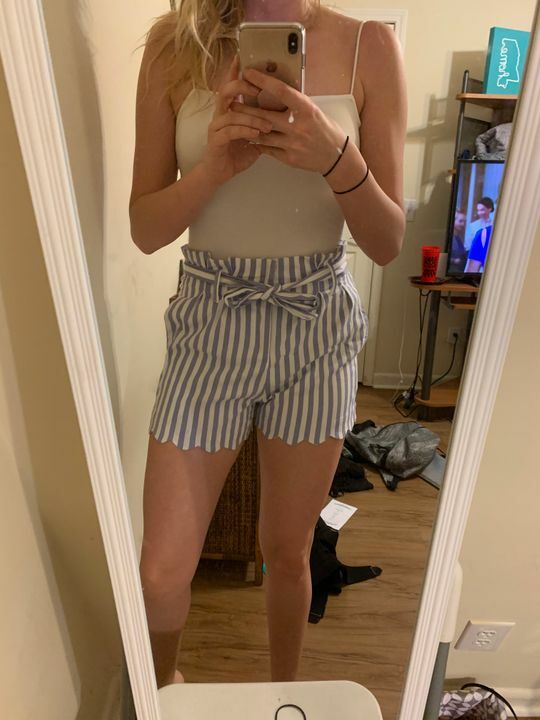 These cute shorts feature a cute striped pattern and tie waist. These are SO CUTE!!!! I am 6 foot and these are still long enough.